The Triton Poker Series will mark its highly-anticipated return to the Maestral Resort & Casino in Montenegro. Dubbed as the Super High Roller Series, the tournament is scheduled to take place from May 5 to 17. Triton Poker’s last visit to Montenegro was in the spring of 2018 and the event was an outstanding success. Triton Poker has quickly become the most popular high stakes poker tournament across the world and the tour’s first stop in 2019 recently concluded in Jeju Island in South Korea. The Montenegro stop is going to be special for a number of reasons. One of the most obvious ones is due to the duration of this tour stop which is for 10 full days. The Super High Roller Series in Montenegro will feature as many as 10 events as well as the introduction of a number of new formats such as No-Limit Hold’em, Short Deck Turbo and Pot-Limit Omaha. Buy-ins for the tournaments range from €11,000 to €110,000. 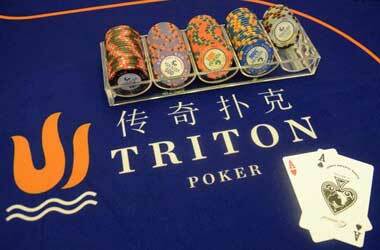 Triton Poker usually has very high buy-ins in order to have massive payouts. However, this time around tournament organizers will have a €11,000 buy-in for the Short-Deck Turbo even. It is considered a wise move as a notable number of No-Limit Hold’em enthusiasts are not willing to participate in a high stakes Short-Deck buy-in. Triton Poker Ambassador Jason Koon, who has the most success with live tournament Short Deck poker, calls Montenegro his favourite poker destination in the world. He has reason to favour this tour stop as he had massive success in 2018 when he finished in fourth place in the HKD 250,000 buy-in event taking home $169,936 and going on to win the HKD 1 million Short Deck event where he took home $3,579,836. Koon also noted that Montenegro had a lot more to offer aside from the Triton Poker Series. Poker players who haven’t been to Montenegro will find it a relaxing and pleasant place to tour when they are not playing poker. Most of the top high stake poker players in the world are expected to make their way over to Montenegro in May.